Women in the tech industry often feel like they have to work twice as hard to get even a little of the recognition they deserve. They are always in the minority and almost always working for a male boss. Having worked in tech for 20+ years, I’ve certainly experienced it myself! So, is it true that we need to do more, stay later & shout louder, in order to be seen and heard? 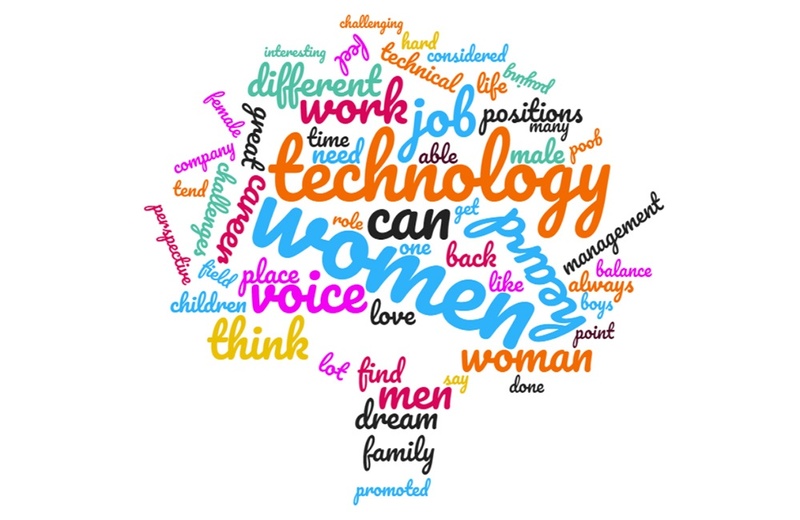 I conducted a survey recently of women in technology, asked about the challenges and benefits...here's some of what was revealed. 100% of women said they felt in some way they were regarded as being inferior to their male counterparts ...100%! Almost all of the women who responded felt that as women, they brought a different perspective to their workplace and saw this as a benefit. Some also loved that they get to do what few women get to, and are role models for the next generation. Let's get back to the first result of the survey, we feel like we're regarded as inferior. I'm not suggesting that this inequity is in your imagination - not by a long shot - but I am going to get a little provocative here...Do you ever feel like you don't deserve to be in the job you're in? This phenomenon has a name, Imposter Syndrome, and it’s very common. Do you feel like you’re “less than” and are waiting to get “caught”? If you do, can you imagine what type of vibe that gives to your peers and bosses? Here's the thing...you are every bit as capable as your male counterparts and I guarantee you that in at least some areas, you are better! But, if you don't believe in yourself, how can you expect others to? We need to own our worth and appreciate what we bring to the table. What are your strengths and how do you identify them? Take a minute to think about a success that you've had at work. What did YOU bring to that success that someone else couldn't have, or simply didn't care enough to? Got one? Can you allow yourself to feel good about your unique strengths and how they contribute to your team and role? If you can learn to appreciate yourself and understand that you do indeed deserve the job you have, even the promotion you want, you’ll be amazed at the difference it will make! When someone thanks you, how often do you hear yourself saying “It was nothing”, “no problem”, or something equally diminishing? Someone just thanked you for you work - accept that thanks! A simple “Thank you”, “Thanks for noticing that, I appreciate it”, or something equally affirming would be so much better. When we dismiss the praise, we make it seem like we didn’t do anything worthwhile, and that’s not true! You want your voice to be heard? Start by not using it to negate your good work. Support each other…we are in a unique position to do so. As technologists, we are support staff after all. Often, women who are successful are not seen as likeable, so we need to build each other up, not stay silent - or worse, tear each other down. And speaking of support...get a mentor. In fact, don’t just get one...get a posse! Create a mentor network for yourself. People love to give advice so gather up your questions and reach out to some people you admire and ask them for a little time. It doesn’t have to be a lifelong commitment on either part. It has been scientifically proven that positive thinkers have improved energy, that positivity is infectious, and it improves decision making. If you can become more positive about yourself, that positive impression will spread to others. I’m not talking about likeability here or “being nice”. I am talking about your impression of yourself, and your world. Consider the impact that a mental shift might have: if you can see your life in a more positive way and act upon that vision, how might that impact how you influence others and how you carry yourself? Where will it take you? The action here is key! This article by James Clear; The Science of Positive Thinking: How Positive Thoughts Build Your Skills, Boost Your Health, and Improve Your Work is a good read on the topic. Do you hear and see me? One of the things that came up over and over in the survey was women feeling that they needed to put in twice the effort to get the same recognition as the men they work with. What is the recognition you seek? For me, it was always an "atta-girl", "great job", "thank you"...nothing crazy right? But often acknowledgements are thin on the ground. I would strive to be the best and make a real difference, always waiting for that pat on the back but it didn't always come. I loved performance review time because that's when I would get the feedback I craved. Here's what I learned working with my life coach... I was seeking approval and recognition because I didn't know inherently that I was good, that I deserved to be proud of myself. Recognizing this and learning that I am enough (more than enough really) has been a life-changer for me, and I’ve been lucky to be able to teach that same lesson to my clients. It always has a positive impact on their lives. Here are some ways to take action and make a real difference for yourself. Advocate for yourself! Toot your own horn. Make your achievements known! I have news for you...guys do this all the time. They don’t feel shy about it. They don’t think “I don’t want to seem conceited” or “I will appear arrogant”, they just do it! State your career path and figure out a way to get there. Don’t wait for someone to build it for you or “notice” you. Take control of your own destiny. Make an appointment with your HR department to get started. An online tool like SkillScan can help you see career possibilities and tracks that fit with your interests and skills. While it's a known fact that there are inequities in pay between men and women, that doesn't mean you can't ask for the same salary. True, there are a disproportionate number of women versus men in this industry but those facts don’t mean you have to accept things as they are. In many cases, the experience of women in technology is different from the experience of women in other industries. Georgene Huang writes about that in her exposé for Forbes. My challenge to you? What will you do to change the circumstances at work that you are unhappy with, be they financial, career trajectory, using your voice? Will you take action based on the suggestions above designed to give you control? You earned your position, you deserve to be there - if you didn't, you wouldn't be. Companies are not in the habit of keeping employees around "just because". If you enjoy working hard and putting in extra time, by all means go for it. But don't do it because you feel like you have to prove your worth: to yourself or anyone else. I want you to know that you can have control over your own experience and outcome. If you’re not being treated or compensated fairly, you don’t have to take it. Need some help taking control? 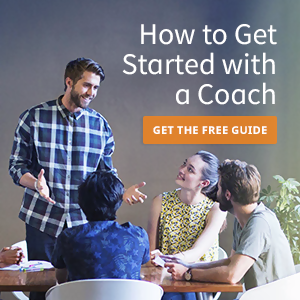 Coaching can teach you how to advocate for yourself, how to beat Imposter Syndrome, how to accept praise, and to ask for what you deserve. If it’s really bad where you are and coaching can’t get you to a place where you feel that you can affect your outcome, it CAN help you get you ready to move onto a better position. My job is not to get women to be ok with being second-class citizens; my mission is to help you claim your place in the world, right alongside (or above) the guys! Through personal coaching, I’ve helped clients understand and appreciate their strengths, figure out how to ask for, and achieve, the raise they want, and dig deep and determine the type of company that allows them to excel. Diversity in the workplace is so important and if women don’t take charge of their destinies, the fear is there will be less diversity, more sameness. What would happen if, as women in Technology, we held our heads high, concentrated on the awesome positives that this brings us instead of focusing on the negatives? How would that feel and how would that change the conversation we have with each other, ourselves, and the future generations of women in technology? Ciara’s passion is to work with women to help them see how valuable they are to the world, and learn to appreciate their amazing capabilities. She loves to see her clients go from overwhelm to focus and help them accomplish their goals. Her clients appreciate her honesty and her kindness, and she gets such joy out of helping them improve. She’s not afraid to challenge you but is respectful and will always honor her clients’ wishes. It’s part of her job to explore the boundaries and see if her client is willing to step outside their comfort zone. She gets such joy out of helping my clients. 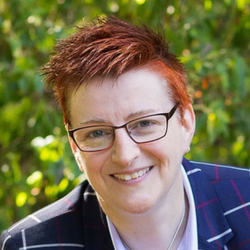 “Ciara’s Kick-Start Kit” is her most popular package for clients looking to dip their toes into the Life coaching waters.